Nice. Did you submit it to that official Focus Features fan art place...? Yup! Normally I'm pretty against design contests, but I'm not doing it in hopes of any money but just to possibly get my work seen by PTA would be really neat. 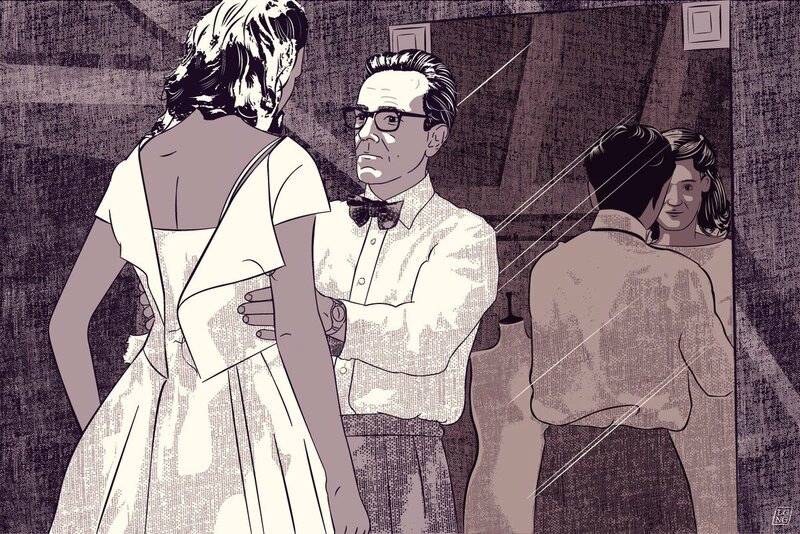 I could see this getting praised by PTA himself during a Twitter Q&A...! Pretty cool. Hi, Paul! 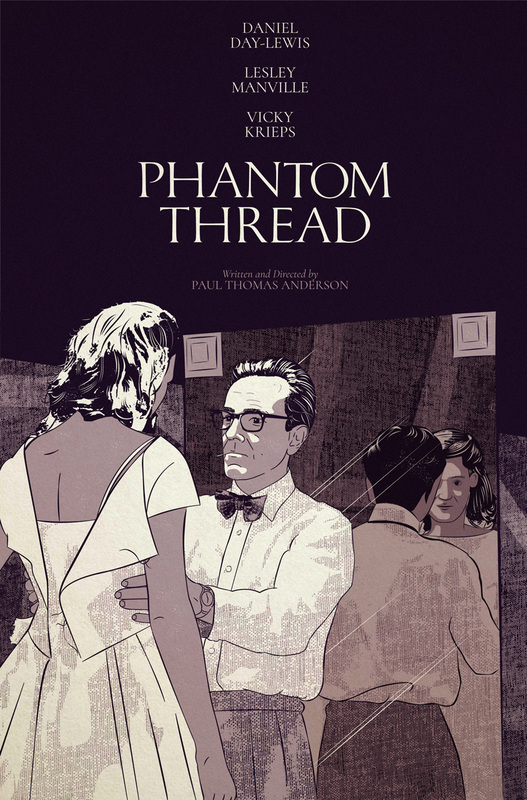 I wanted to show you the artwork I made for Phantom Thread! Also, did Punch-Drunk Love really ever have an alien-related storyline and set designs that were taken out of the film? lovely. thank you for showing me. no, no aliens in punch drunk...always thought of some of it a sci-fi kinda way though. just the weird aliens landing vibe of the beginning. like emily w. was dropped into his lap from a spaceship.